With its perpetual conflict with Nuclear power Pakistan and its simmering competition with China on the other side of its border, it was but a matter of time before India’s militarization register internationally. Asia’s third-largest economy spent $50.6 billion in 2016, $4 billion more than last year to break into the club of the world’s top-five defense spenders. 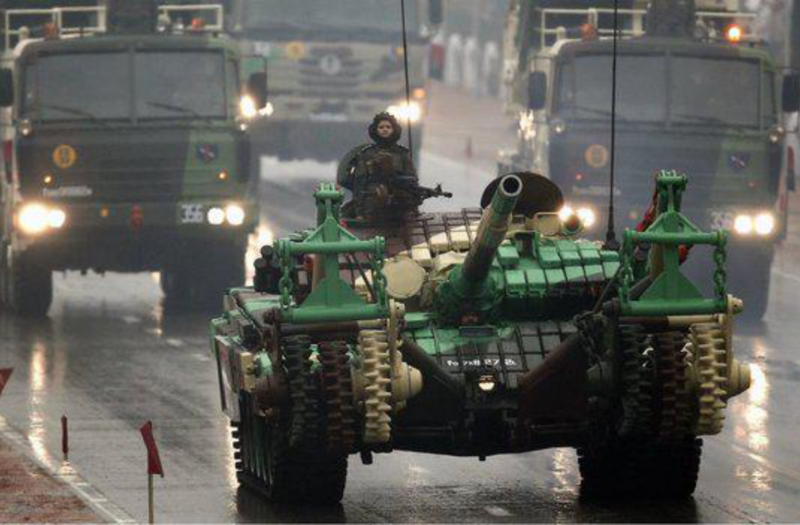 Saudi Arabia and Russia now follow India as the fifth and sixth largest defense spenders respectively according to the 2016 Jane’s Defense Budgets Report, released by research firm IHS Markit on Dec. 12. The U.S., China, and the U.K. remain the top three, while Russia, fouth last year, slipped to sixth behind the Saudis. At current pace, the report claims that by 2018 India will become the third-largest in the group, surpassing the U.K.
Total global defense spending in 2016 increased to $1.57 trillion.